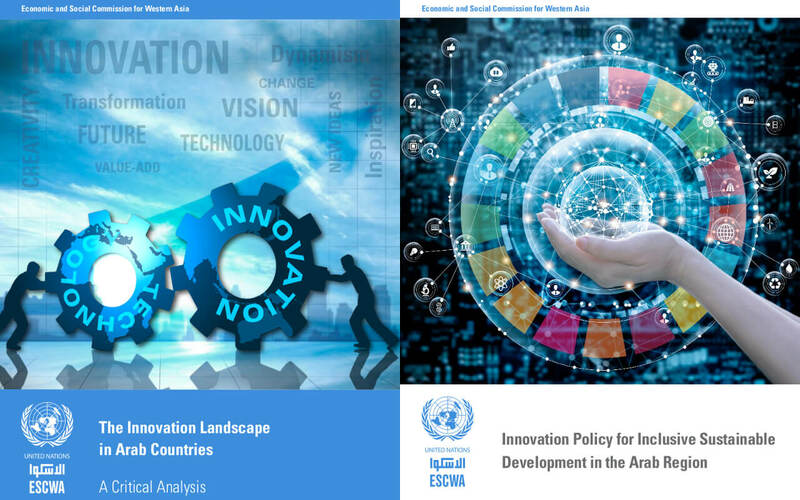 Among the main publications of 2017, the Innovation Section at the United Nations Economic and Social Commission of Western Asia (ESCWA) has published 2 studies and 2 reports during the past year. This study provides decision-makers in Arab countries with a framework for the formulation of policies for economic growth and achievement of the 2030 Agenda for Sustainable Development. This study proposes a framework for analysing the innovation landscape in Arab countries, and it discusses the innovation landscape in the Arab region from the perspective of the Global Innovation Index. Arab countries are assessed as a function of their wealth (GDP PPP per capita), and are compared with other countries. The report explores the issues of social well-being in the context of communities and the way innovation and technology can be instrumental in alleviating these issues. The report defines the concept of public sector innovation, discuss the challenges in implementing and sustaining innovation and identifies mechanisms, tools and/or technologies that countries can implement to foster public sector innovation in the Arab region.